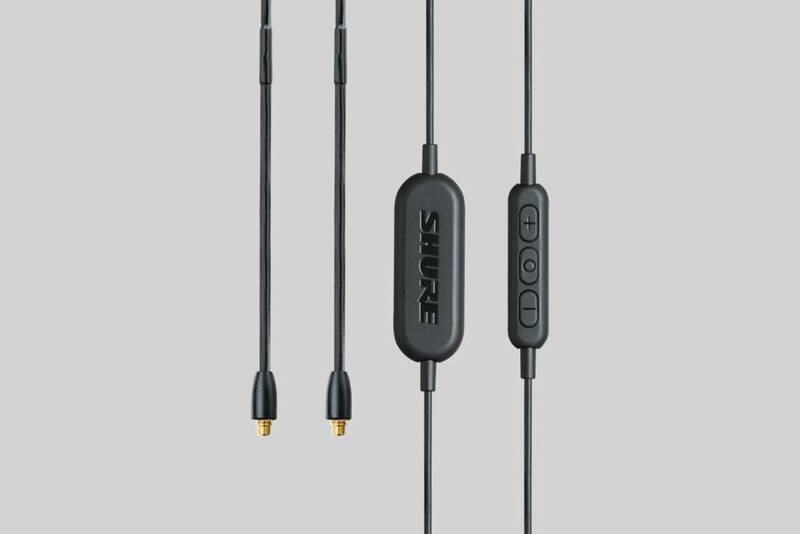 Bluetooth® enabled communication cable with MMCX connectors for most Shure Sound Isolating™ earphones provides hour after hour of listening enjoyment with the freedom of wireless and simplicity of Bluetooth. 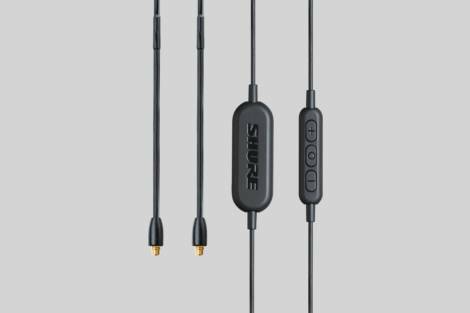 MMCX connectors for most Shure Sound Isolating™ earphones provide hour after hour of listening enjoyment with the freedom of wireless and simplicity of Bluetooth. Compatible models include SE215, SE315, SE425, SE535 and SE846. Earphones not included. Multi-point pairing enables pairing of up to two devices transitions from the office to on-the-go between multiple sources and media types. Enclosed, rechargeable lithium polymer battery delivers up to 8 hours of listening from a single full charge; 15 minutes of charging delivers up to 2 hours of listening. Clothing clip stabilizes the wire for security and stability during exercise and travel. With the unit powered off, put your earphones in and ensure you have a secure fit. On the 3 button remote, press and hold the center button until you hear the pairing prompt.